Many people seek a change in their look at some time or another. One of the most popular aesthetic alterations is dyeing your hair. For a colorful enhancement in your image, eyelashes and eyebrows can also be tinted for a lustrous look. True Skin Care Center wants to help your aesthetic glow with eyelash and eyebrow tinting! 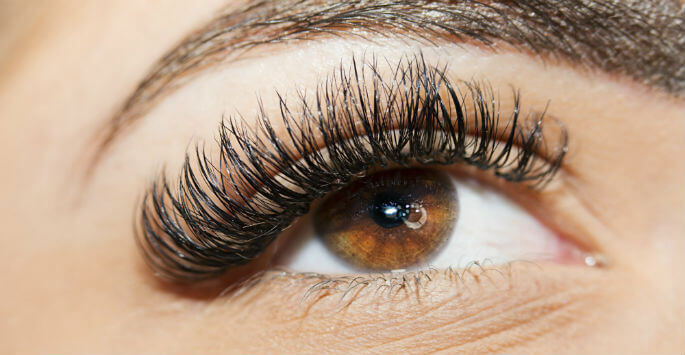 What are eyelash and eyebrow tinting? Eyelash and eyebrow tinting is a coloring treatment that dyes the hair of your lashes and brows to a color of your choosing. Many patients in the past have often chosen the color that best matches that of their hair’s current color. The coloring solution used for tinting is made up of vegetable dye for longer term results. A member of our medical staff will carefully apply this coloring formula with the use of a thin brush. Contact us today to learn more about this glamorizing process! What are some eyelash and eyebrow tinting colors you offer? Consult with our medical staff to learn more about tinting colors! What can I expect from eyelash and eyebrow tinting? Prior to the treatment session, patients will be able to decide which coloration they would like to be reflected in their eyelash and eyebrows. Our medical staff will advise that all patients who wear contact lenses to remove them prior to the start of the treatment. Anyone who wears contacts will be able to use them the day after their eyelash or brow tinting appointment. As the treatment begins, we will place protective cover around the neck and eyes to prevent the color dye from getting onto clothes. A member of our medical staff will maneuver careful strokes into the lashes or brows using a thin brush, painting the color you’ve chosen onto your hair. We will advise all patients who receive eyelash or eyebrow tinting not to open their eyes for at least ten minutes after treatment, as the dye will need some time to set. Anyone who receives and eyelash or eyebrow tinting will be able to enjoy their newly dyed glow right away! Eyebrow and eyelash tinting is a colorful addition that can enhance your aesthetic’s radiance. To see if eyelash and brow tinting may be right for you, contact us today to schedule a consultation appointment! We look forward to colorizing your image!